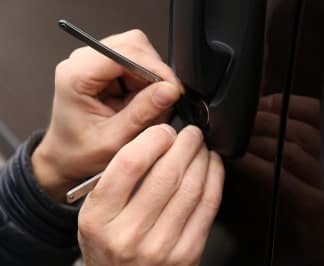 When you need a San Diego locksmith that can come to your location, provide you with affordable repairs, and help to secure your home, car, or commercial business, our team at Noble Locksmith is your best choice. We are experienced, trusted, and reliable. Noble Locksmith has a solid local reputation and we offer comprehensive services. When it comes time to call a local locksmith, let the team at Noble Locksmith be your go-to solution. Noble Locksmith is a 24 hour mobile locksmith. This means we can help you in an emergency, wherever you are. Noble Locksmith has the experience you need for any type of locksmith service you need. We serve all of the San Diego, California area and beyond. We encourage you to call our team for fast help, even in the middle of the night. Helping you protect your home is always our priority. Noble Locksmith is happy to help you do everything possible to feel safe at home. We can help you with key duplication service if you need more keys made for your home. Or, perhaps you are just moving in. If so, you should turn to a trusted professional to replace the existing locks. We can also help with rekeying, deadbolt installation, and lock repair. As your local lock and key professionals, we can help with any need. When you need a locksmith in San Diego, California, you need someone you can trust and depend on. We are certified, insured, and registered for your peace of mind. When you call us for any of our locksmith services, we will provide you with outstanding workmanship and one-on-one support. As a mobile locksmith, we can also come to you no matter where you are in and around San Diego, California. Noble Locksmith sells, services, and repairs all types of lock and key hardware. We also install and rekey systems. This includes products from brands such as Schlage, Kwikset, and Master Lock. Call us for help.